It is that time of year again when suddenly folks are in the giving mode of their lives (November and December). The poor and down trodden have been ignored from January through October, but now they are in the spotlight thanks to a turkey and a guy called Santa Claus (sometimes he is one of the same). Your television screens will be overrun with promos by multi-million dollar corporations like grocery chains, banks, clothing stores, radio and television stations asking you to meet them on a designated street corner or at the bank. Your cash or toy donation will help them to make some kid and his family happy with a turkey dinner and a toy—thanks for giving? Even some churches will get into the act of pretending that they care. There will be turkey dinners, toys for tots and exchange your gun program for a gift card to save some child’s life—the brother turning in his one gun in all probability has two and a shotgun in his car. If Santa shows up in the ghetto, he will be disguised as a cop, preacher or politician–check the region and see how many white churches have gun exchange programs–buyer beware! The NBA and NFL will showcase some of their biggest stars at food kitchens serving hot turkey dinners, and hosting toy parties for needy children with “Officer Friendly” along for the ride! The problem, they are much like Cinderella. They will disappear at midnight (the new year) and its back to business as usual, they will go into hibernation in their gated communities until the following November. In the meantime, Santa Claus ain’t coming to the ghetto and neither are “Sacred Cows” like Sugar Ray Leonard, John Thompson, Randy Kenney, James Brown, Michael Wilbon or Stephen A. Smith and little children will continue to die—Merry Christmas! 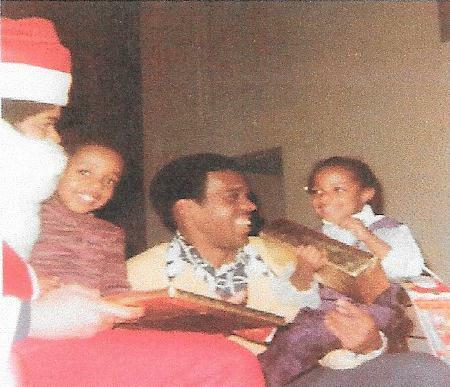 Santa’s Helpers back in the 70’s. From Left to Right: The late Redskins star Harold McClinton and Harold Bell. Click here to learn more about the legendary Harold Bell. Hey Buddy!, I found this information for you: "A Christmas Story: Santa Claus Ain’t Coming To The Ghetto! By Harold Bell". 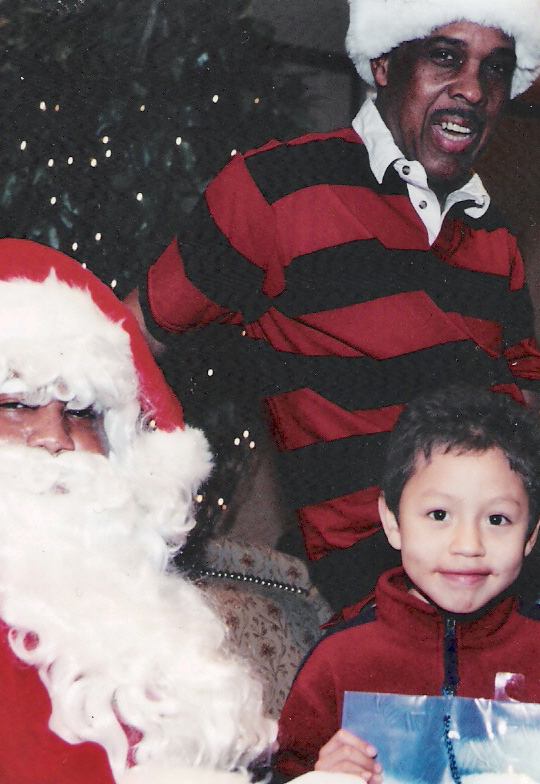 Here is the website link: https://blackmeninamerica.com/a-christmas-story-santa-claus-aint-coming-to-the-ghetto/. Thank you.